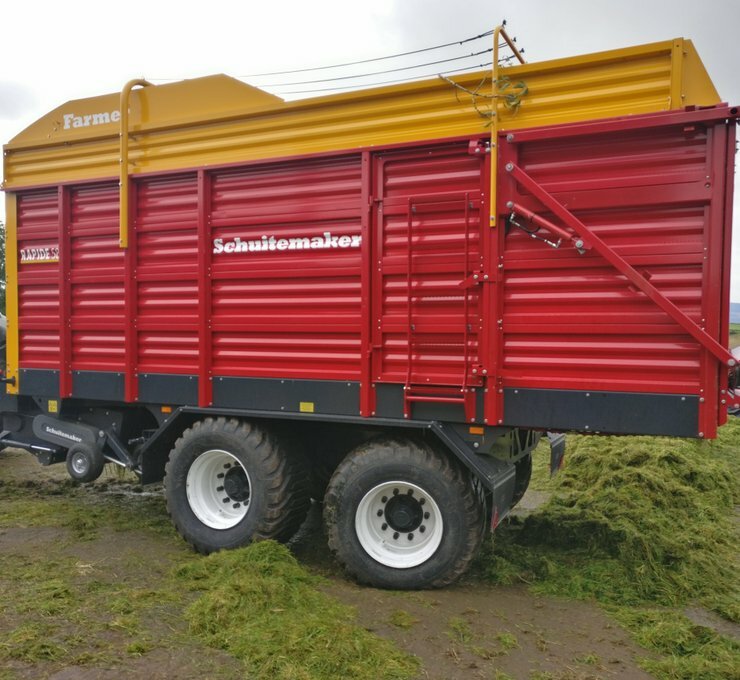 With the introduction of the Rapide Farmer, Schuitemaker have introduced yet another sheer loader wagon, focused exclusively on harvesting grass. From 2017, two Farmer models will be available, the Farmer 58 and the Farmer 74, which are focused mainly on the export markets. 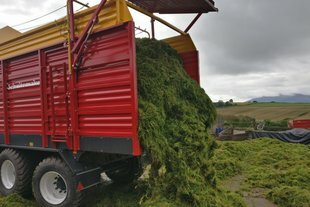 Characteristic features of this wagon remain the rotor input with trailing pick-up and cutting mechanism. 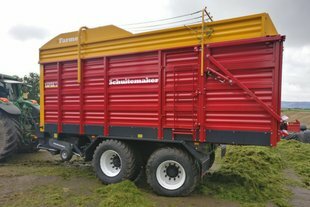 This Farmer loader wagon is lightweight and comes standard with a parabolic suspended tandem. Tyre fitting is possible up to 117cm high and 70cm wide. As with the existing Rapide range, three models of this wagon are available: with no beaters (S), with beaters (W) and a model with beaters and a side discharge conveyor (V). The side discharge conveyor can be slided under the chassis when not in use. 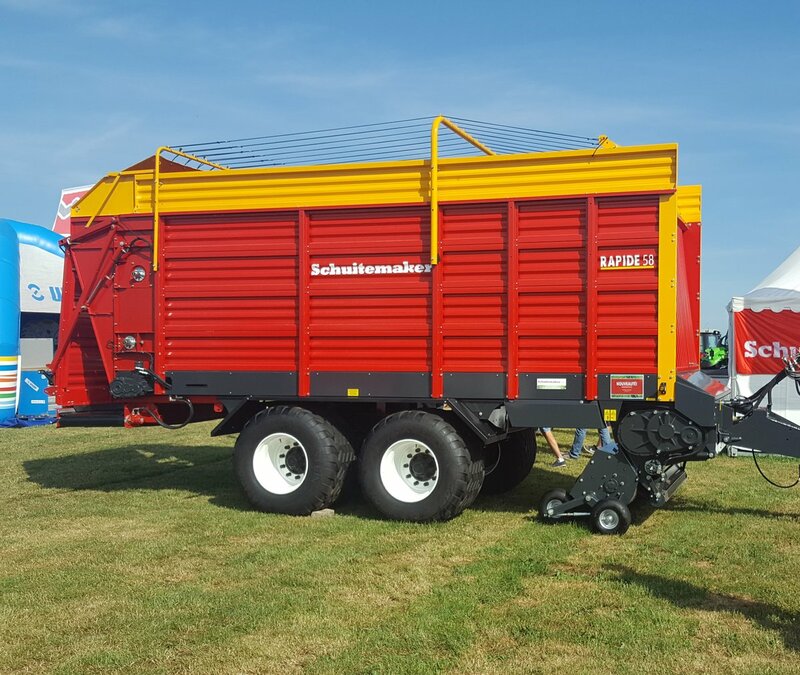 The Rapide 58 S is the smallest Schuitemaker compact sheer loaderwagon with a capacity of 30 m3. 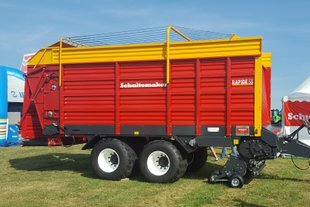 The Rapide 74 S is the smallest Schuitemaker compact sheer loaderwagon with a capacity of 36 m3. The Rapide 74 W is a sheer loaderwagon, 2 beaters and 36 m3 capacity. The Rapide 74 V is a sheer loaderwagon with crossconveyor, 2 rollers and 36 m3 capacity.